Searching for the best South Brunswick Roof Repair company? Penyak Roofing co. is the place to hire for all your roofing services. Commercial or residential roofs are often the deciding factor of how secure the property is against all types of weather. If you suspect that there is some damage in the roof and it is need of repairs, it is best to contact a professional roof contractor to see the extent of the damage and find ways to repair it to protect you and your home. Leaks and moisture can cause damage to a roof, home or building. When the insulation gets wet it increases your utility costs. It also breeds mold and bacteria growth which is dangerous to have in the home. You would know if you have a water problem from the roof if you visibly see water marks or stains on the walls or ceiling. It is not wise to ignore moisture problems on your roof as it can cause further larger issues. Contacting a professional roofer is the best bet to prevent damage to your home. When a homeowner sees signs of damage on their roof, you want to contact a professional roofer as soon as possible to prevent damage to become larger and costlier. If you see some holes or ripped roofing material due to weather or deterioration, the smallest amount can turn to a large problem. This has to be taken care of quickly by a professional. It is better to contact your roofing contractor and let them know that you would like the roof inspected. Any good contractor will make safety a priority and come and inspect your roof, instead of having the homeowner look at the roof and assess the issue. Check your exterior downspouts and gutters after a heavy rain. Make sure the water is freely coming out. When no water or minimal water is coming down the downspouts there must be a clog somewhere. Water sitting and not being eliminated from your home can cause major issues to the roof and home. A clogged downspout can lead to moisture accumulating on your roof which can cause the roof to start bubbling and shingles to slip off. When the roof on your home is too old, you will start seeing some deterioration which puts your home at risk for damage. A good professional contractor will evaluate your roof and let you know if your roof is at its end of its life. Any visible signs of damage can also be an indication of an old roof. Looking to hire the best South Brunswick Roof Repair company? Contact Penyak Roofing Co. right away. If you are having some concern about the condition of your roof, contact a roofing contractor you can trust to perform a thorough inspection. Any signs you can spot from inside the property alert the professional to take care of the issues for you. For over 55 years of service our company prides on the quality, fairness and affordability. 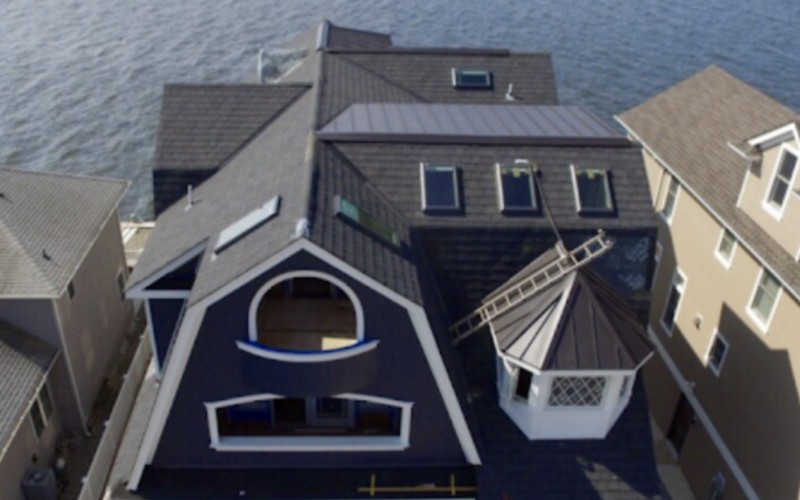 Penyak Roofing Co provides quality work and dedication to all our customers. We use the highest quality materials in the market and never subcontract any of our jobs. Our skilled and trained contractors are ready to take any job big or small and get your roof in the best condition it should be in. In addition, we are fully licensed and insured. We specialize in shingles and flat roofing systems. Give us a call today to request a free estimate. We look forward to hearing from you!